Emani, the 10-year-old daughter of the late rapper, was caught on video dancing to her father’s music in a Rolls Royce after attending the Celebration of Live memorial service for Nipsey. Nipsey Hussle‘s daughter Emani seems to have found comfort in her father’s music after his tragic death. The 10-year-old girl was seen dancing in a car, shortly after the Celebration of Live memorial service for the slain rapper on Thursday, April 11. In a video taken by a fan and shared on Instagram, Emani appeared to be in good spirits, moving her hands to her father’s music, which was played by mourners who filled the streets to celebrate Nipsey’s legacy. She was sitting in the backseat of a black Rolls Royce with lowered windows. 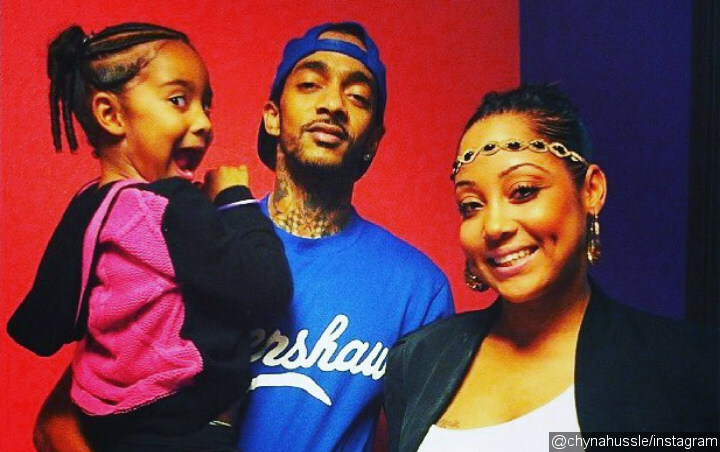 Emani is Nipsey’s first child, whom he shares with ex-girlfriend Tanisha. A woman, possibly Emani’s mother Tanisha, was sitting in the front passenger seat while waving a black flag in the clip. Many are relieved to see Emani’s smiles in the video, which was reportedly taken as Nipsey’s family was heading to his final resting place, on Crenshaw and Slausen. “Glad to see,” wrote an Instagram user who posted the video online. Meanwhile, her mother’s tribute to Nipsey was not responded well by his fans. Tanisha wrote, “I LOVE YOU ERMY U NO WHEN IM MAD AT YOU ITS ERMIAS Joseph I love you so much,” along with a picture of her with the “They Roll” hitmaker and their daughter. Some people accused her of being disrespectful, because Nipsey was engaged to Lauren London at the time of his death and Tanisha has reportedly dated several other guys after their split. The critics were also not impressed that Tanisha used Nipsey’s last name on her Instagram and Facebook account. Tanisha seems to have a close relationship with Nipsey’s family even after they broke up. While she didn’t appear to be present as the memorial service last week, she was mentioned in the obituary by Adam Andebrhan. “He had a beautiful daughter, Emani Dior, with his love Tanisha,” so read part of the obituary.